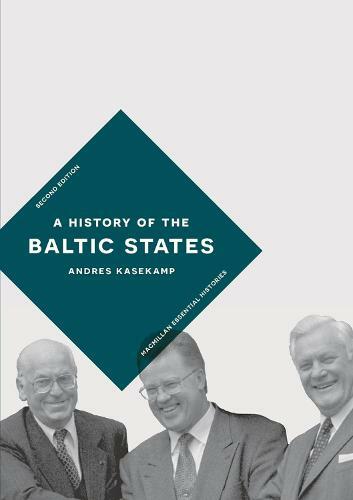 In this key textbook, Andres Kasekamp masterfully traces the development of Estonia, Latvia and Lithuania, from the northern crusades against Europe's last pagans and Lithuania's rise to become one of medieval Europe's largest states, to their incorporation into the Russian Empire and the creation of their modern national identities. Employing a comparative approach, a particular emphasis is placed upon the last one hundred years, during which the Baltic states achieved independence, endured occupation by the Soviet Union and Nazi Germany, and transformed themselves into members of the European Union. This is an essential textbook for undergraduate students taking modules on Eastern or Central European History, Communism and Post-Communism, the Soviet Union, or Baltic Culture and Politics. Engaging and accessible, this is also an ideal introduction to the Baltic States for general readers.